Today is our last day at La Palmyre. The wind was more from the west so there a few more clouds but, consequently, it was a little warmer. We popped in to La Palmyre for one or two final essentials in preparation for tomorrow’s journey to Damvix in the Marais Poitevin; wine, chiefly, since we are being entertained by Mike and Linda on Sunday. We got a bottle of pineau de Charente to take them. Pineau is a regional speciality, a blend of wine and cognac supposedly both made from the same property/grapes. It comes in white, pink and red varieties and, being slightly sweet, makes a good aperitif but also goes well with cheese (in my opinion, though the French would doubtless disagree). The car park used as the market square in La Palmyre was bustling again with a vide grenier (empty loft) in progress. 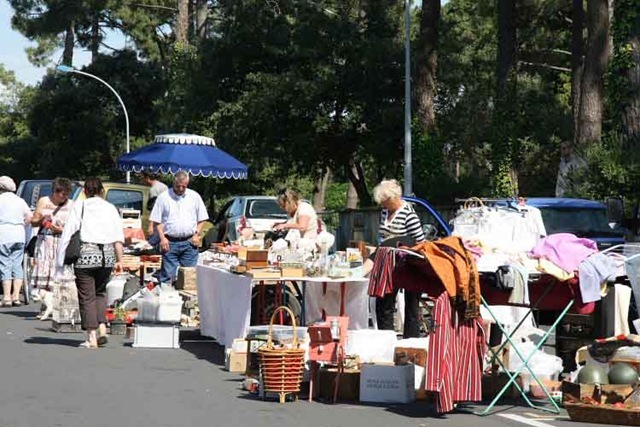 This is the French equivalent of a car boot sale/yard sale/garage sale. This is most definitely not my kind of diversion but we snapped it for a bit of local colour. As we were indulging in lunch back at the campsite, our English friends returned and announced that they had had no trouble finding fuel to fill their almost empty tank. Let’s hope that continues to be the case. Although we feel very self-righteous with all our cycling in preference to driving, it also cannot help but make us feel a little restricted. We just are not certain what is happening or will happen. Never mind, just enjoy the sun while it is here. We cycled out to phare de la Coubre (a lighthouse) in the afternoon only to discover, to Carol’s great disappointment, that we couldn’t climb up inside it. We had been able to do so when we were here six or seven years ago. It was a good excuse for another pleasant cycle ride through the coastal forest, though. 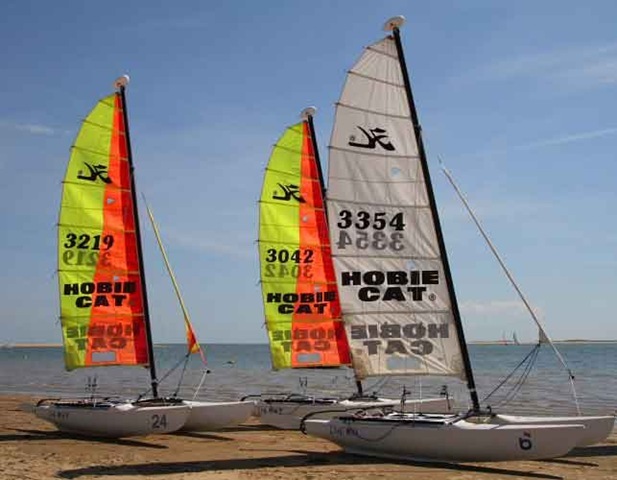 The route back took us into a Club Med area full of the beautiful beginners learning how to wind surf, control kites for kite surfing and occasionally whizzing about on Hobie Cats. No one seemed to kill anyone else but they may have come close once or twice. We’re supping a beer in our cybercafe doing our last postings before entering what may be a wi-fi black spot in the Marais; we’ve no idea. Let’s hope they’ve got diesel and have heard of McDonalds.